State Road 150 between the Quail Ridge Inn and The Old Blinking Light Restaurant. Interested in the Mariposa Ranch? 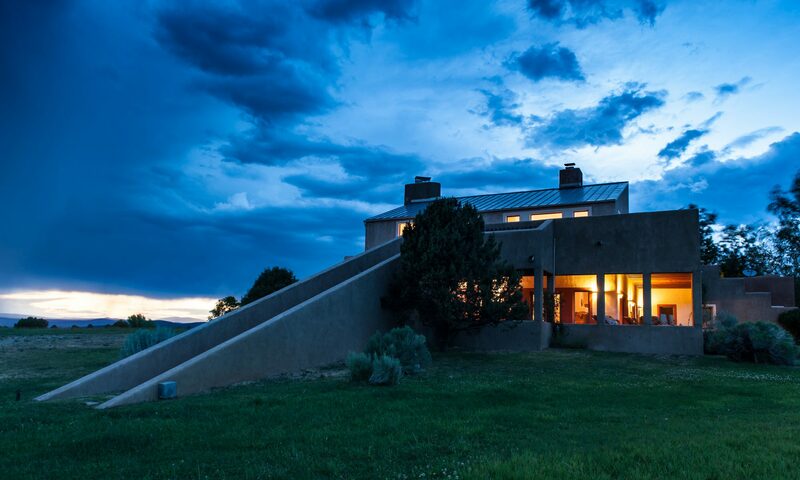 The Mariposa Ranch of Taos has been described as “a poem on the landscape” by Architect Antoine Predock, this majestic 5,000+ square foot home was designed as a surrogate mountain nestled on the vast plain of Des Montes between the Town of Taos and Taos Ski Valley.